The first Seymours Estate Agents opened here in Ripley in 1992, and after twenty-five years continues to be one of, if not the, largest independent estate agent in the West Surrey area totalling a strategic network of 17 offices. We focus on Ripley and its surrounding villages, West Clandon, East Clandon, Send, Send Marsh, Ockham and West Horsley. These beautifully picturesque Surrey villages are incredibly popular with all walks of life, families, young professionals and downsizers. The village of Ripley is said to have the largest village green in England (approximately sixty five acres) and benefits from a selection of award-winning cafés, shops, pubs and a Michelin star restaurant. Ripley enjoys superb access to both the A3 and M25 keeping this ever-popular village well-connected and in demand. 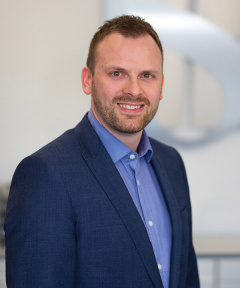 The Ripley office has a team of long serving and dedicated individuals, Director Ben Conquer. 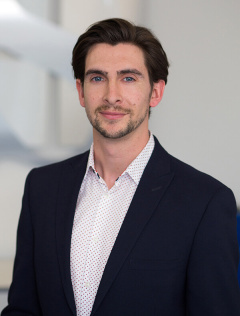 has been at the Ripley office since 2003 whilst his co-director, Joe Leonard, has been with Seymours serving the Guildford area since 2010, both have superb knowledge of the local area and always work diligently to keep the process of buying and selling as stress-free as possible. A true sign of the success of the Ripley office is the high level of repeat business and recommendations as customers recognise us as the local market leader. The Ripley office is heavily involved in the local community being the proud sponsors of the annual Ripley Event and Ripley Christmas Fair. We support our local schools and raise money for our nominated charity Macmillan Cancer Support. Use the form to send an email directly to the Ripley branch.